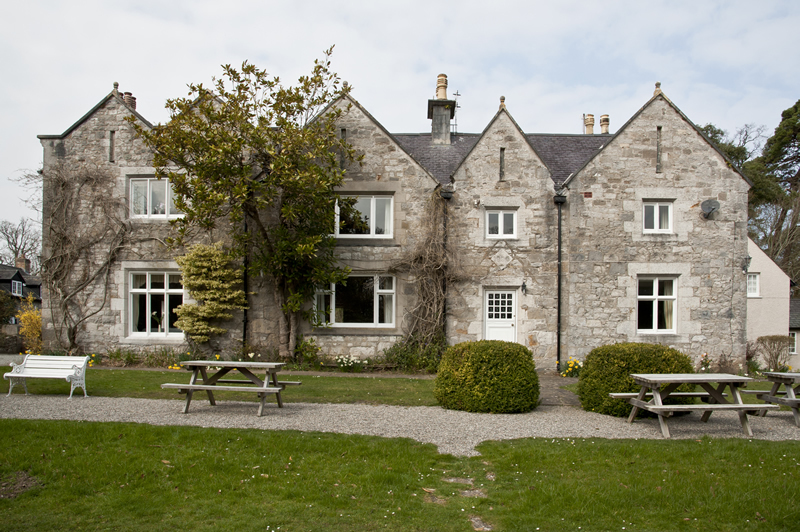 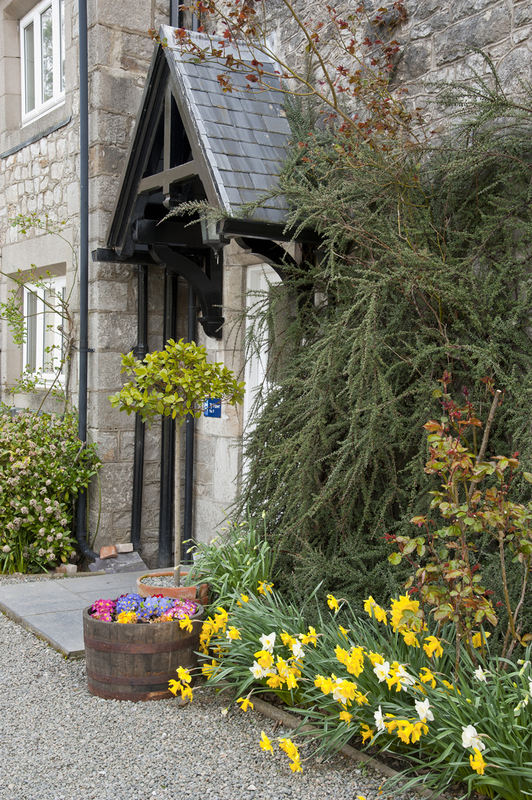 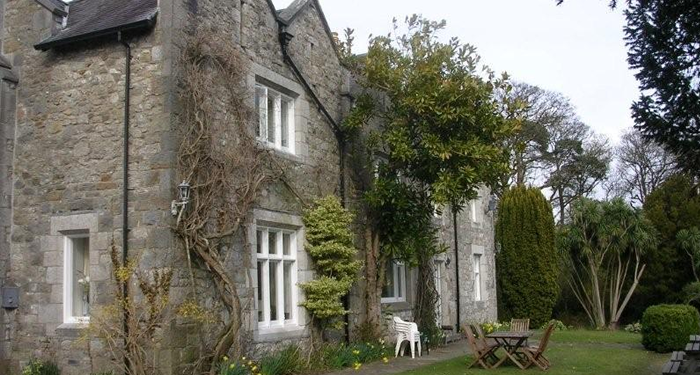 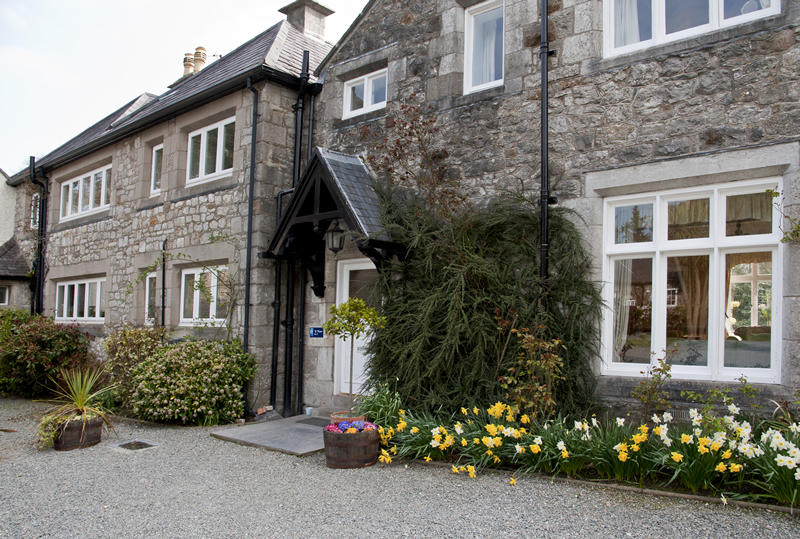 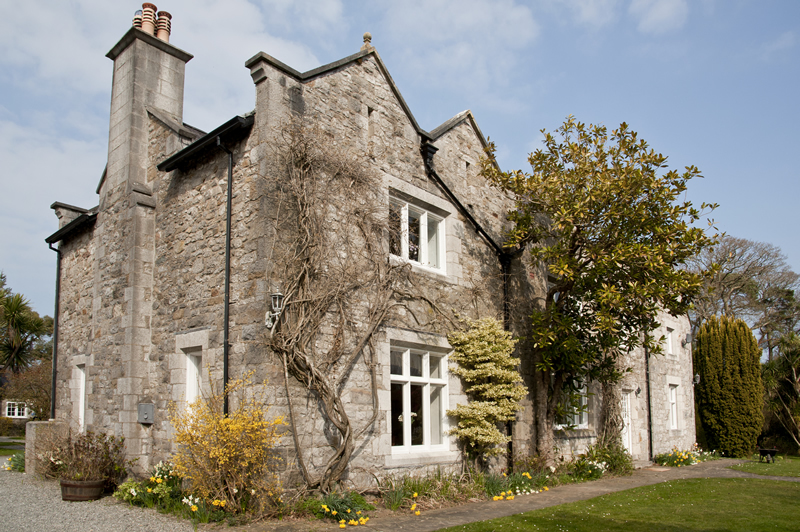 Ty Mawr is a truly magnificent 19th Century manor house and is ideal for large groups of family or friends. 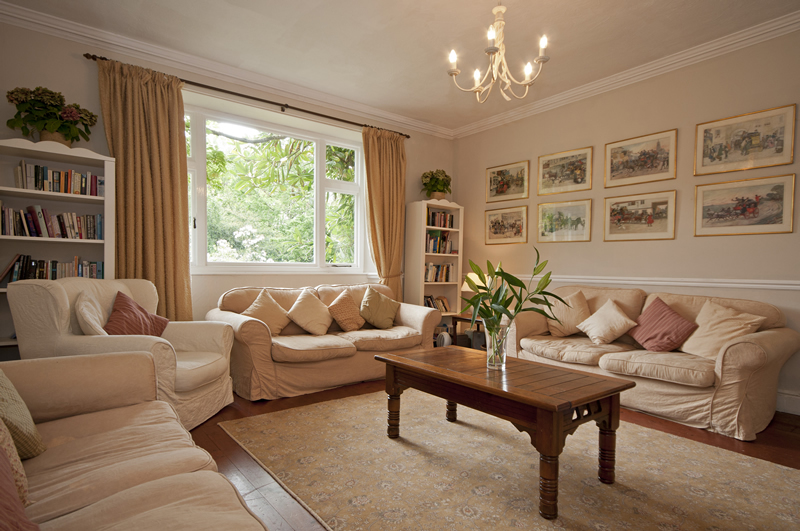 There is an abundance of space, room for everyone to spread out or come together. 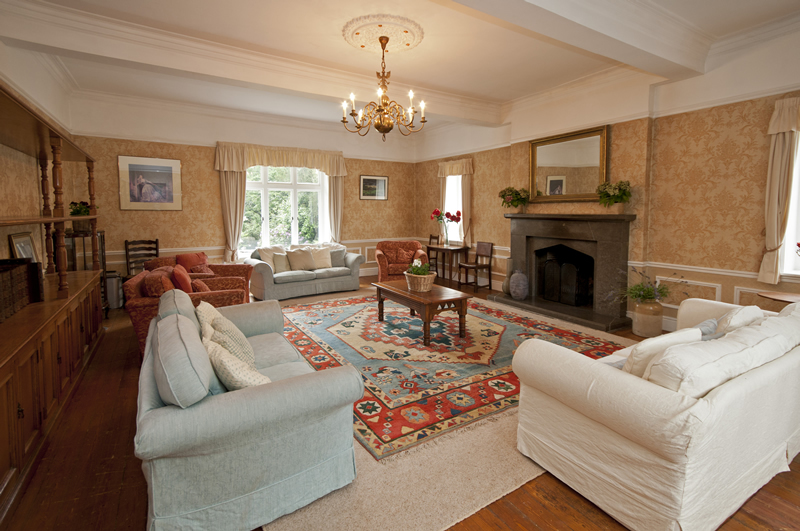 The main feature internally is the vast lounge with its grand fireplace. 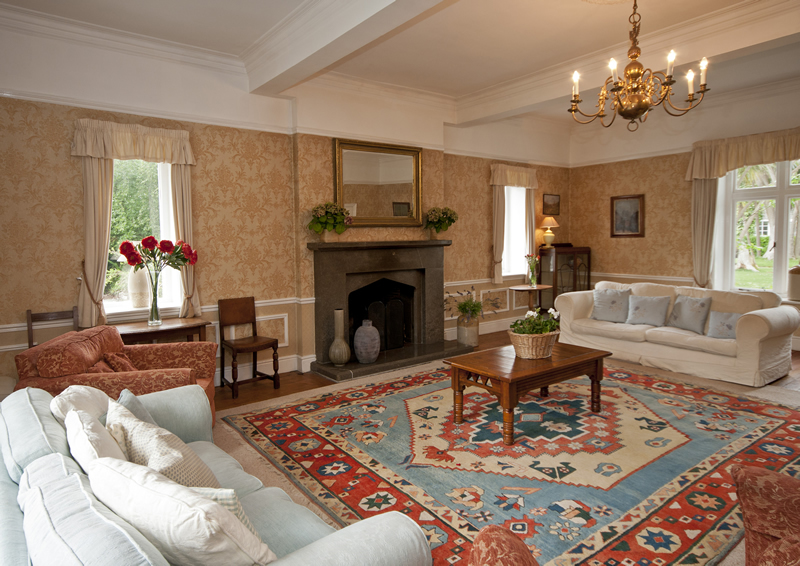 It is in this formal room that civil weddings are permitted to take place. 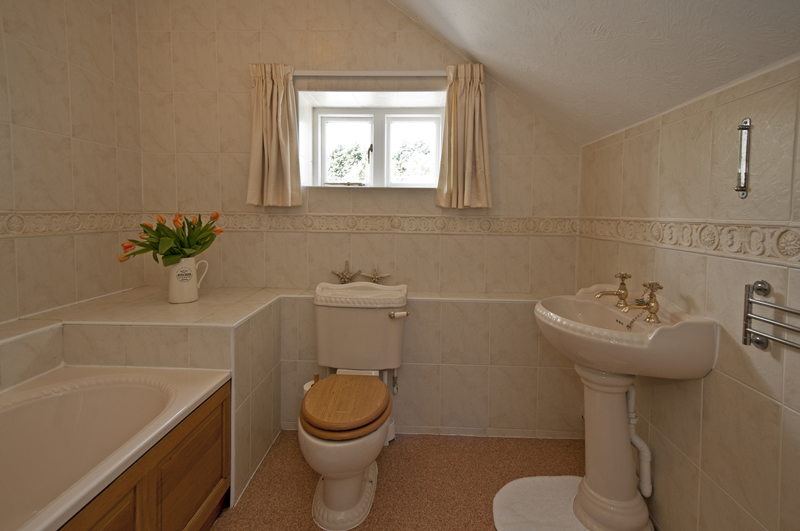 There is an alternative lounge or ‘snug’ complete with TV, DVD player and Freeview. 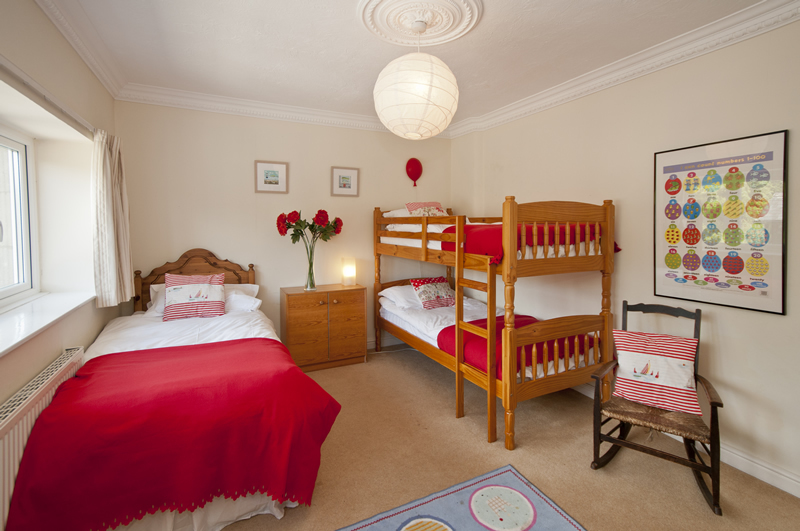 This is a room which quite often becomes monopolised by the youngsters in the party! 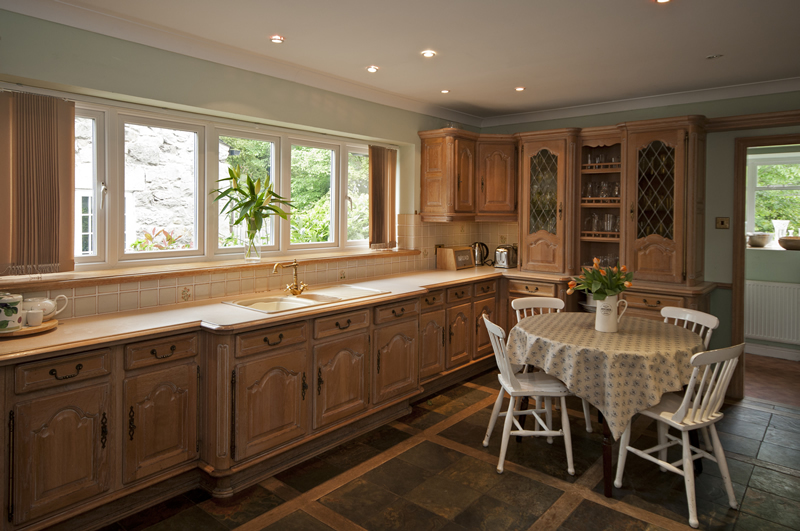 Ty Mawr has a large kitchen with a Rangemaster oven – vital when catering for eighteen. 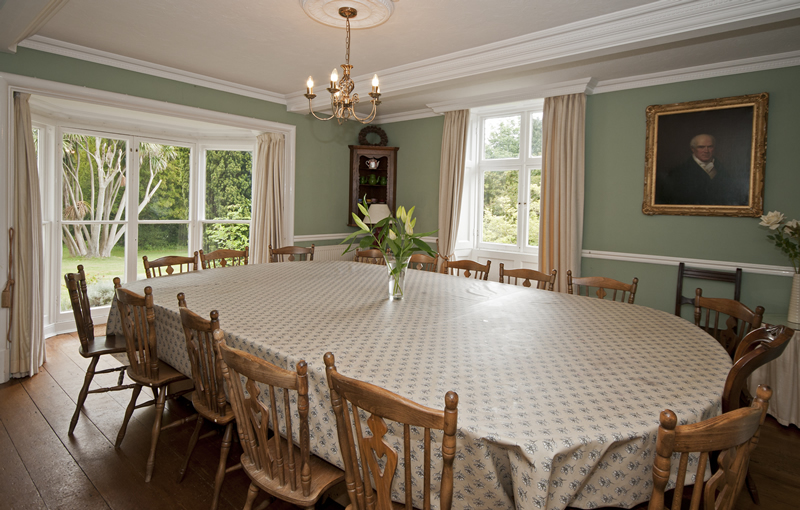 Through the kitchen is an elegant dining room with large French doors opening out onto the lawn and patio area. 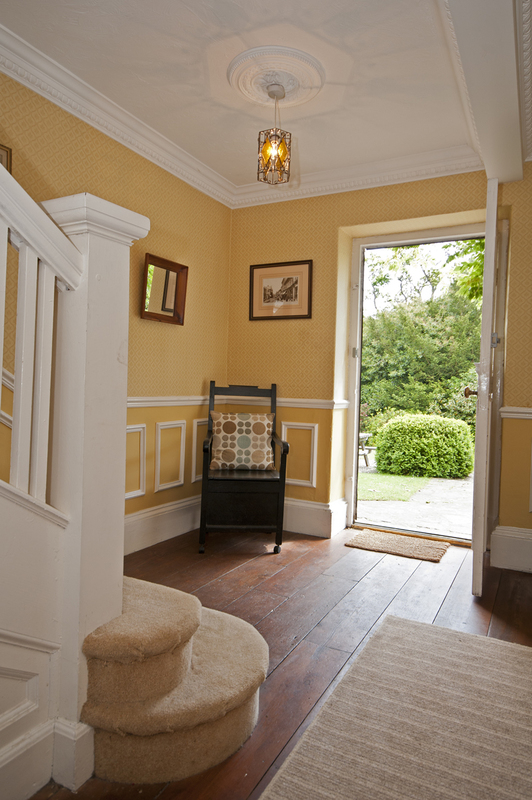 This is the old part of Ty Mawr and through a little doorway and you are into the annexe. 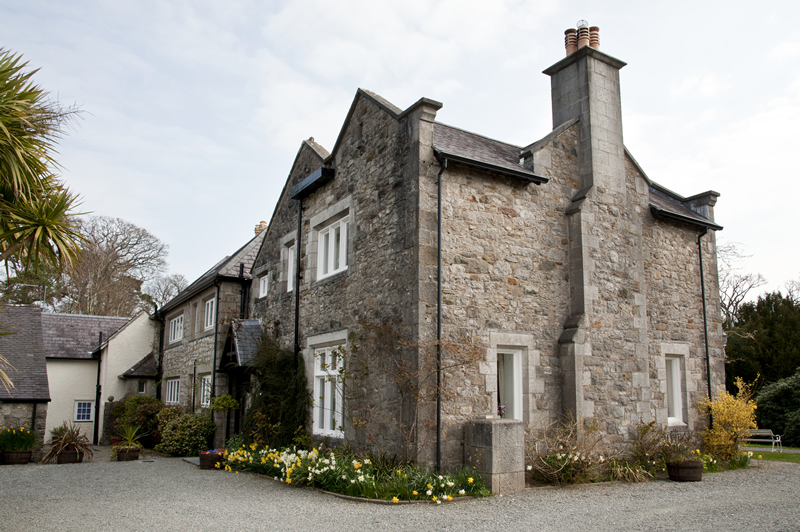 This separate wing of Ty Mawr is home to three bedrooms and a small sitting area. 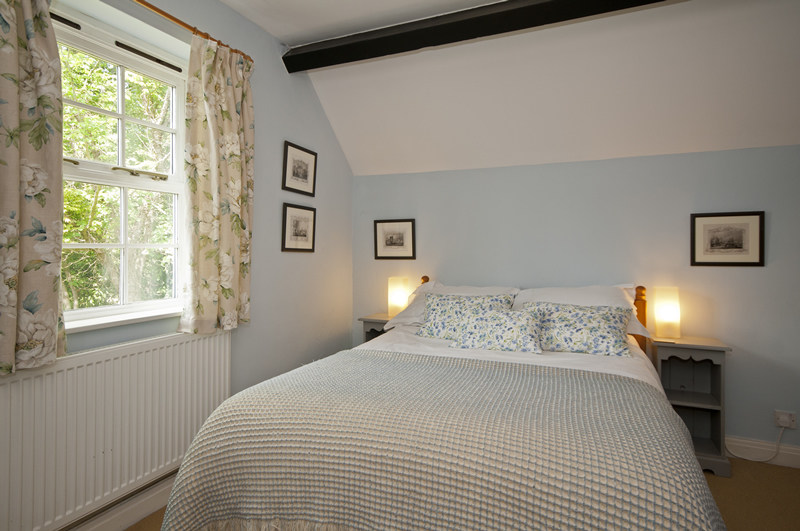 There is a double bedroom downstairs with en-suite and a beautiful view over the garden. 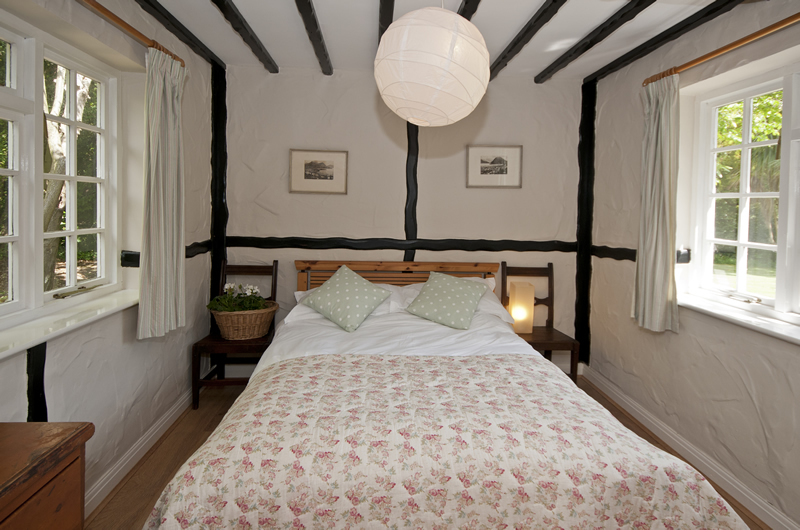 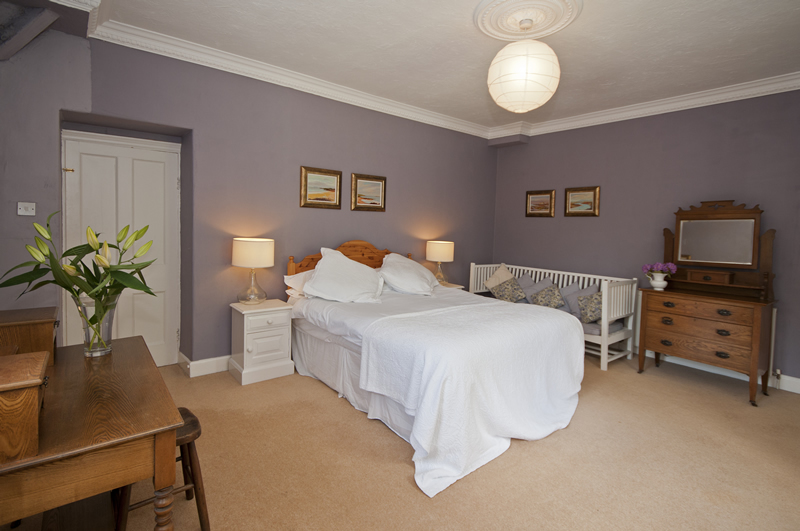 Upstairs in the annexe is a further double bedroom, a twin bedroom and a bathroom. 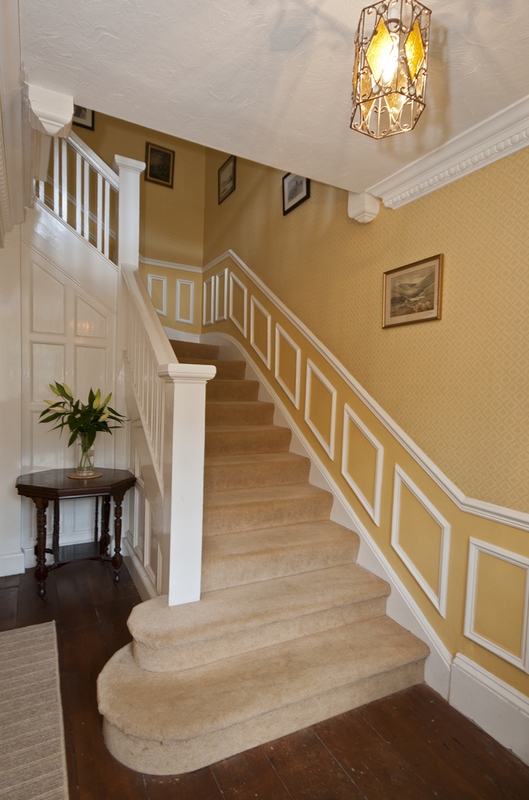 Back in the original part of Ty Mawr the staircase leads up to five bedrooms and two family bathrooms. 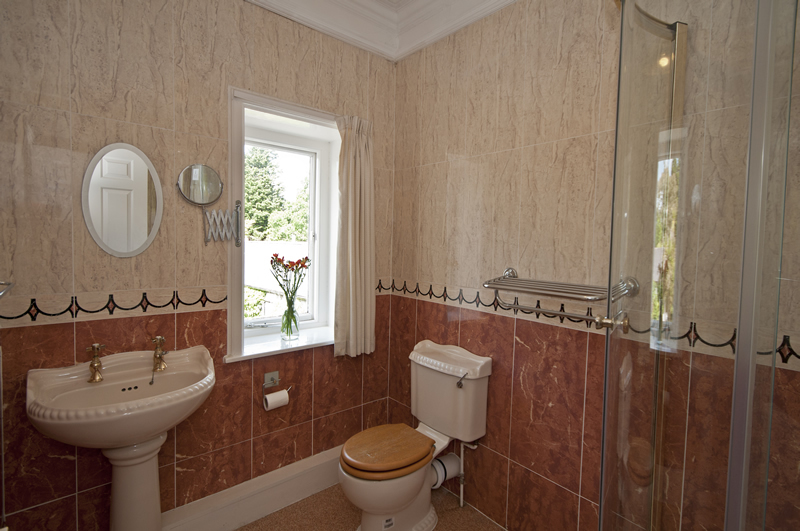 The master bedroom looks out across the garden and has an en-suite. 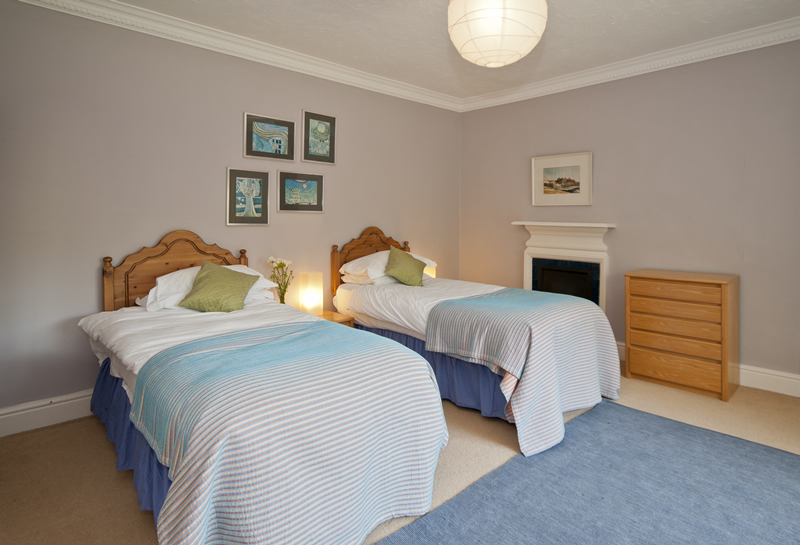 There is another double bedroom which also has an ensuite and overlooks the palm trees in the courtyard. 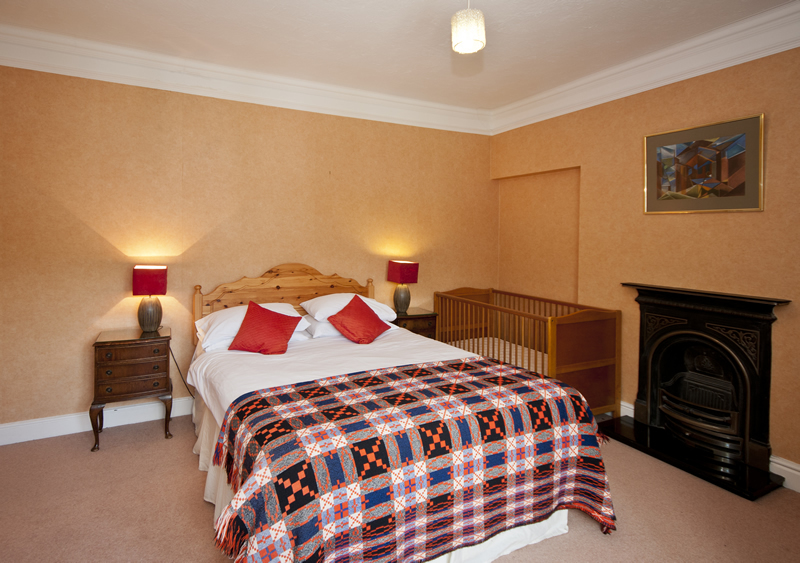 In addition to the double bedrooms there is a twin bedroom and two triple bedrooms. 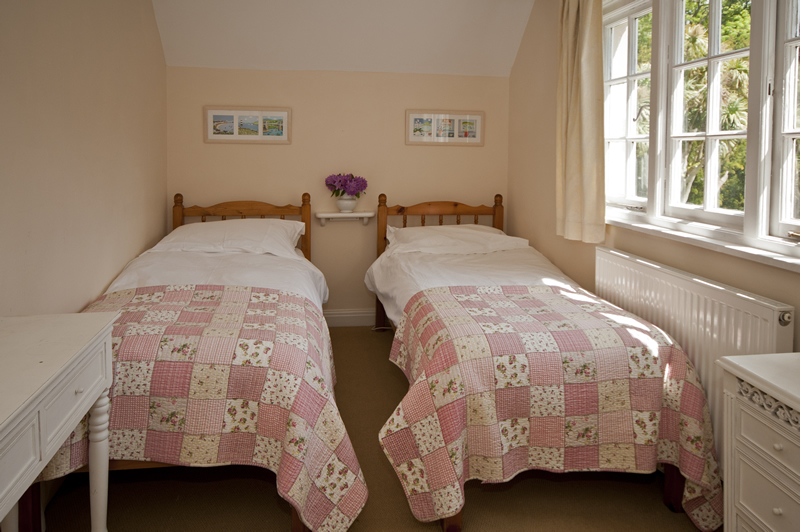 One of the triple rooms comprises a bunk-bed and a single bed, the other has three single beds. 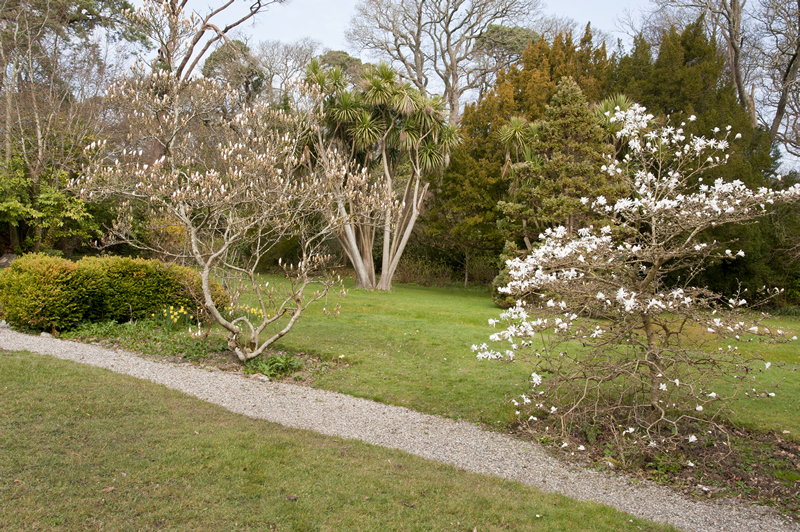 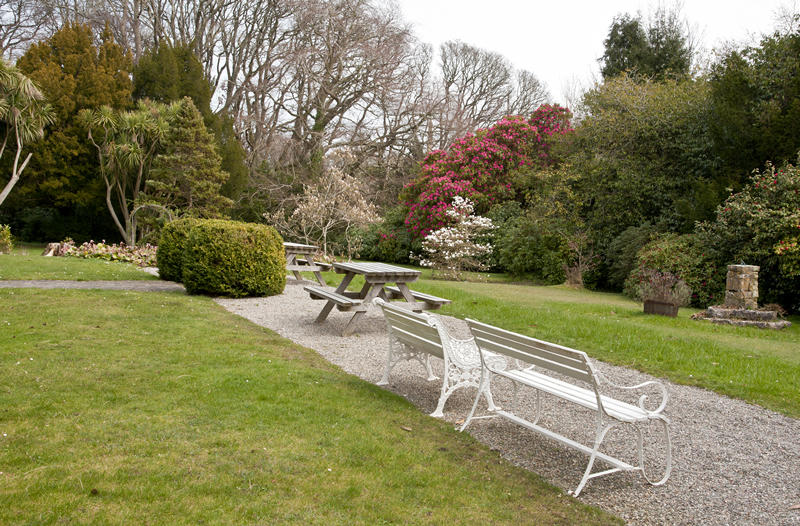 Ty Mawr has a private garden bordered by well established shrubs and trees. 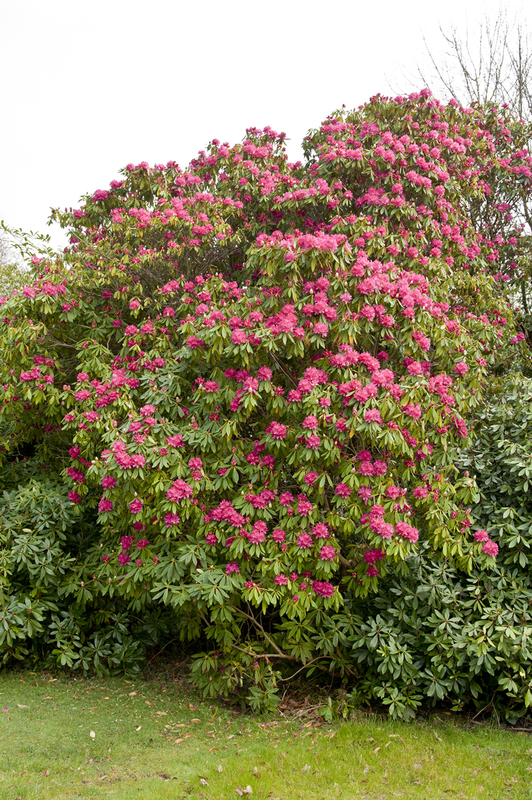 There are many beautiful specimens in particular the glorious rhododendrons which burst into bloom in the spring. 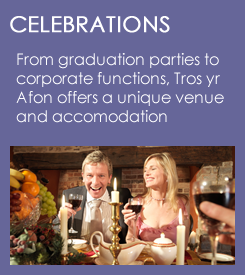 As with all of the properties at Tros Yr Afon, guests have full access to the communal areas of lawn and woodland.